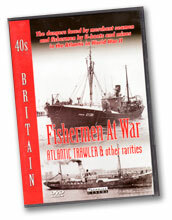 War-time documentaries about the dangers faced in the Atlantic by merchant seamen on convoys and the contribution made to the war effort by all civilian seamen. 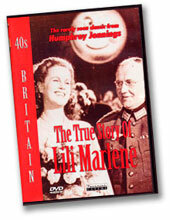 'The True Story of Lili Marlene' (Humphrey Jennings, 1944) tells the story of Lale Andersen's recording of "Lili Marleen" which became the unofficial anthem for foot soldiers on both sides during World War ll. 'Before the Raid' (Jiri Weiss, 1943) is the story of a group of Norwegian fishermen and the Nazi occupation of their small village. 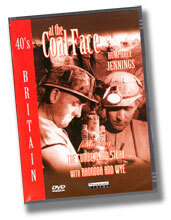 "The Cumberland Story" (1947) directed by Humphrey Jennings & "Rhondda and Wye (1948) tell the stories of the coal mines, their need for change and the poor conditions and dangerous conditions faced by miners. 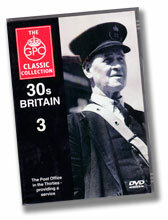 More superb documentary making from the 1940s. The Saving of Bill Blewitt (1937) directed by Harry Watt. How two fishermen save up to replace their wrecked boat. North Sea (1938) directed by Harry Watt. An Aberdeen trawler in trouble gets assistance from Wick coastguard radio station. The first successful example of the now familiar drama-documentary. The Islanders (1939) directed by Maurice Harvey. Life on the islands of Eriskay, Guernsey and Inner Farne are linked to the mainland by the Post Office. A Midsummers Days Work (1939). About the laying of an 18-mile underground telephone cable in the Chilterns from Amersham to Aylesbury. The King's Stamp (1935) directed by William Coldstream. The designing and printing of the King George V Silver Jubilee stamp, followed by a short history of postage stamps. The Fairy of the Phone (1936) directed by William Coldstream. A fanciful comedy on how to use the telephone. News for the Navy (1937) directed by Norman McLaren. Following a package from letter box to delivery to HMS Incredible in Bermuda. N or NW (1937) directed by Len Lye. The importance of correctly addressing a letter of apology. Roadways (1937) directed by Stuart Legg and William Coldstream. The history of transport, especially the growth in road traffic. The Horsey Mail (1938) directed by Pat Jackson. The mail is delivered by boat when part of East Norfolk is hit by floods. Mony a Pickle (1939), produced by Alberto Cavalcanti. The Post Office Savings Bank is a natural target for Scottish thrift.